Breaking into in the lucrative noise-cancelling headphone market is a real toughie. The global noise cancelling ear gear market may be bigger than mahoosive, but it’s also dominated by Bose whose highly regarded Quiet Comfort cans own a colossal amount of consumer mind and market-share. 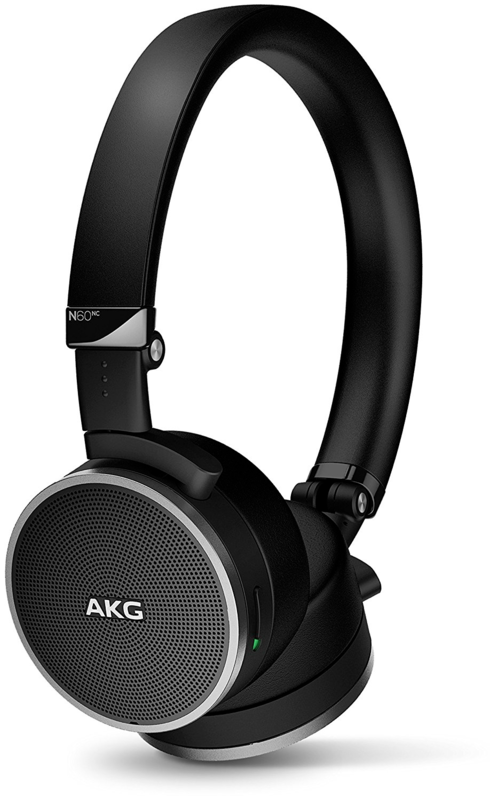 But now there’s a new kid on the block and this time Bose may be about to get a real run for their money as AKG’s Bluetooth wireless NC60’s noise cancellers deliver the sonic goods, albeit with little in the way of extraneous noise. Powering the NC60s involves flicking a switch on the left ear cup which sees background noise dwindle. The silence is near deafening. The most telling noise cancelling and audio performance comes when playing particularly quiet music, with ambient background noise almost non-discernible. If that were all these headphones did, it’d be fine, but the NC60s also deliver accurate, clean and detailed audio that feels wonderfully warm. This is something AKG have long been good at. The AKG ear buds bundled with my Galaxy S8 have long been my favourites and the NC60’s didn’t disappoint either. String instrumentals from the likes of Andreas Vollenweider, with his trademark swirling atmospheric harp, had real texture. Tom Waits’ gravelly non-dulcet tones felt textured and nuanced, while Salmonella Dub delivered plenty of thump. In short, the NC60’s handled nearly any genre I threw at them, playing everything with gusto, precision and warmth. For Bluetooth use, the NC60s play nice with both AAC and aptX codecs. For non aptX or AAC capable hardware they supported decent bitrates to deliver detailed audio. Testing was done with a Samsung Galaxy S9 and the Huawei Mate 9. The only real quibble I had with these headphones was with the skip forward/back toggle button on the right earcup (pressing it pauses music and answers calls, while flicking it skips tracks). I sometimes went to advance the track but ended up unintentionally pausing music and the power button – located next to the track skip switch – sometimes got pressed by accident, turning the NC60s off. Comfort wise these headphones were a gentle fit. Where many competing noise cancelling cans rely heavily on acoustic isolation to aid performance, the NC60’s used thick, yet soft, foam padding on the ear cups. This meant wearing them didn’t feel like having a suction cupped vice placed on ones’ noggin. Did they what! The NC60s accompanied me on a recent trip to Singapore. 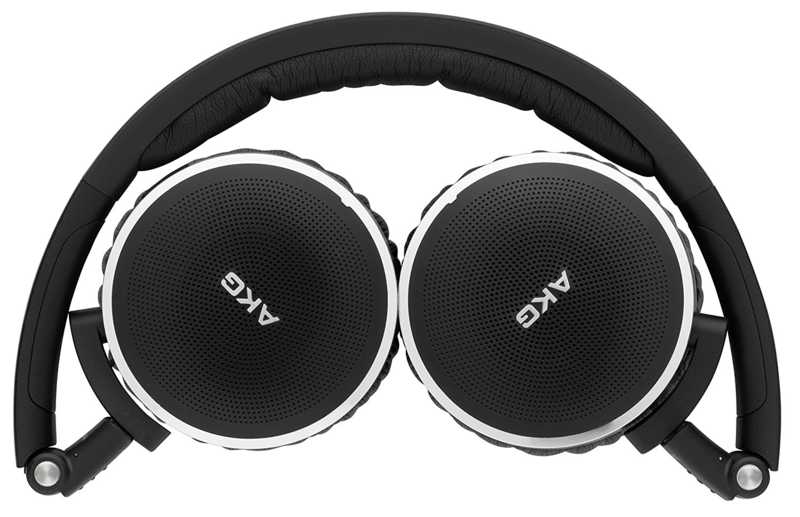 I was keen to see if they could run for the 30 hours in cabled noise-cancelling mode as claimed by AKG. It turned out that they delivered slightly more, covering both flights plus time spent by the hotel pool. Further testing once back home showed that the stated 15 hours with Bluetooth and noise cancelling enabled was also about right too. Their ability to fold up saw the NC60s consumes little luggage space, allowing for more shopping. Their 198g weight and ultra-compact travel case, which comes with an airline adaptor plug and cables, further boosted their travel chops. They may be light, but they’re solid too. This is thanks to the liberal use of aluminium, which makes a pleasant change from the Tupperware of so many other competing brands. Alloy accents also give them a hint of sophistication, but they’re only available in black. This is probably a good thing as they’re more discrete and don’t scream “Look at Me!”. Either way, they’re not unpleasant to look at and their design reeks of quality. Bluetooth headphones might be nothing new, but decent sounding Bluetooth cans are thin on the ground. Bluetooth headphones that are also good at noise cancelling are even rarer still. The NC60s tick all these boxes. They sound great and as noise cancellers, they perform admirably. All told, they’re great travel companions.